Order your spirit wear today. Updated Thursday June 14, 2018 by EYB. 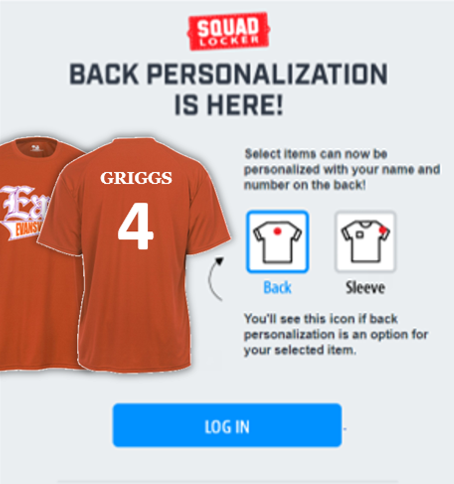 East Youth Baseball spirit wear is now available with back and sleeve personalization! Select between many color options -- including your favorite team's color - and have it customized with your favorite player's name and number! Through our partnership with SquadLocker, 2018 East Youth Baseball spirit wear can be ordered online 24/7. In addition, SquadLocker is contributing a portion of the sales back to East Youth Baseball. Order early. Order often. Go East!